Rwanda is one of the prime tourist destinations in the region considering its rich diversity of attractions and activities that range from cultural and heritage tours to gorilla trekking safaris and tours in Rwanda, Chimpanzee trekking safari and tours not forgetting wildlife safari tours in Rwanda. The country’s varied protected areas that are distributed across the country including the Akagera National Park in the east, Volcanoes National Park in the North West and Nyungwe National Park in the south west combine to satisfy the interests of travellers on Rwanda safaris and tours. The Aviation industry is a foundation to Rwanda’s tourism industry. 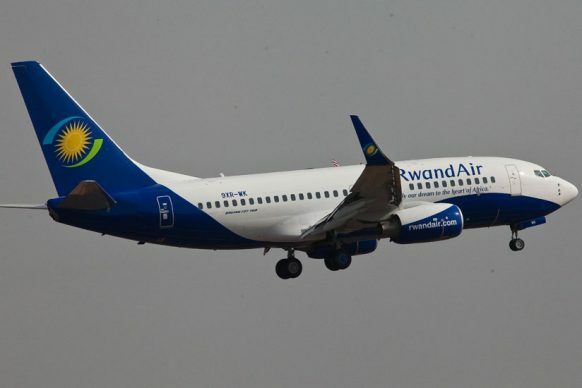 Rwanda is gifted to have one of the successful national carriers in the region – the Rwanda Air. The national carrier has helped to promote Rwanda’s brand worldwide and has facilitated easy transfer of travellers interests in Rwanda safari tours. Taking account of what transpired in the Rwanda’s aviation sector in the year 2014, one can note that the year laid a strong foundation to the industry. The major aspects included the upgrading of Kigali International Airport, upgrading of Kamembe Airport and construction of Bugesera Airport. The year saw the government’s announcing the initiative to secure $1billion Euro bond for Bugesera International Airport construction something that was welcomed by both local and international actors and is one of the main projects in Aviation sector to be looked up to in the year 2015. Kigali International Airport was ranked as number seven best Airport in Africa and the best Airport in East Africa by the UK based firm Skytrax. Experts are arguing that position will boast the enterprise in the sector in 2015 which can in turn increase safaris and tours to Rwanda. No wonder, the passengers rose in 2014 to 600,000 from the 2008 figure of 263,264. With the modifications at Kigali Airport, the figure could rise to one million in the subsequent years. Besides construction, other airlines penetrated Rwanda’s aviation market in the year 2014 including Fly Dubai an International Commercial Carrier which numbers on eleventh position to operate in Kigali. Other Airlines that reinforced their presence in Kigali include Air Rwanda, KLM, Qatar, Kenya Airways, Ethiopia Airlines and Turkish Airline. Rwanda Air also expanded to new routes including Juba in South Sudan, Doula in Cameron, Mwanza and Equatorial Guinea in 2015. Rwanda is also at the forefront of harmonizing air travel along the routes Nairobi – Entebbe and Entebbe – Kigali route under the project of COMESA air space harmonization. The certificate of Air worthiness was issued to Air Rwanda following the passing of IATA operational Safety audit. This give it more chances of having code sharing. This will in turn facilitate travelers interest in undertaking gorilla safaris in Rwanda along with other safaris to connect easily from their different regions.